Course TWO was opened at the end of ’97 and is undulating and different from the estate’s No 1 course, with indigenous bush in places, and its share of imposing water hazards. 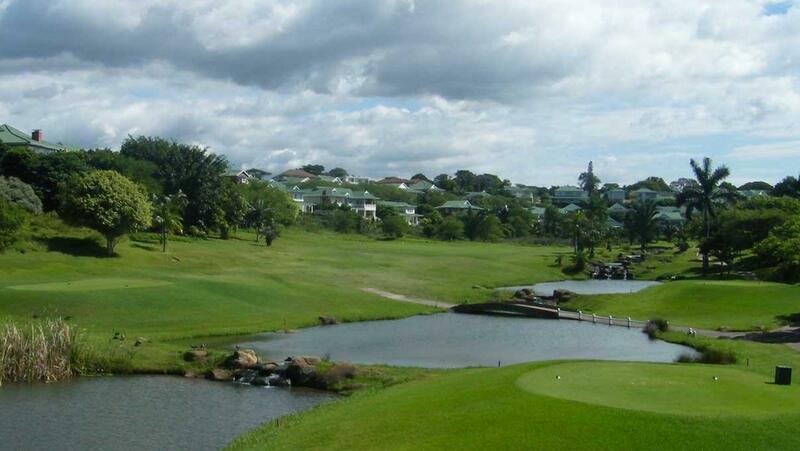 This course has its own small club house overlooking the Pani Dam where fish eagles can be spotted. The design philosophy adopted by the golf course architects was a course that is challenging, but fair – where a serious golfer could test his skills but an occasional golfer could enjoy the game. Character – The topographical features include undulating hills with isolated indigenous bush, a stream running from East to West, the Pani Dam and two sensitive wetlands. Signature holes – Two memorable holes are the eighth and ninth, running alongside the Pani Dam to complete the front nine. Water guards the left side of the holes, and indigenous bush the right, so make sure that you’re accurate from the tee. We played in pouring rain yet the course managed to still be fairly playable. Only about 2 or 3 greens couldn’t handle the water. Other than that it was a great experience playing The Lakes. We played the Lake and wondered that we were Almosen alone on the course until we realized that every second hole hat provisional greens ! Nobody in the Clubhouse told us anything and we got no reduction . However the course is very nice !! Unfortunately we were playing behind a ladies competition which made the round very slow.